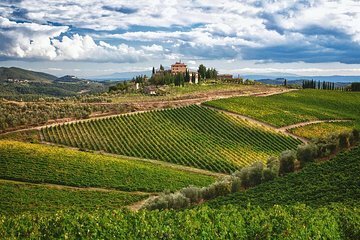 Enjoy a private tour of the wine region of Chianti Classico. Visit two top wineries, tasting up to 12 wines that have made the region famous. In addition to the wines, there will be the opportunity to sample Tuscan meats, cheese, olive oil, and balsamic vinegar. An authentic Italian lunch at the winery is also included in the package. Along the way, there will be stops for photos and points of interest, as time permits.